CLARK COUNTY — Could we wake up to a blanket of snow tomorrow morning? There’s a chance, according to the National Weather Service in Portland. What’s happening is what’s known as a low confidence, high impact kind of forecast, says Cullen. Heavy precipitation from a low setting up off the coast of Oregon is expected to push through the area sometime overnight. Since much of that could fall as snow in the upper atmosphere, it could potentially cool off the lower atmosphere. Cullen says they’re forecasting anywhere between a trace to 6 inches of snow. While some could fall down to the lowest elevations, the greatest chance of accumulation is above 500 feet, and in the northern part of Clark County. The heavy rain and potential snow prompted the National Weather Service to issue a rare simultaneous Winter Storm Watch and Flood Watch. With the potential of several inches of rain, some streams could see localized flooding before things settle down tomorrow afternoon. Cullen says they’re expecting any potential snow to be after midnight, through morning rush hour. By noon tomorrow anything falling should be back to rain, with the snow level rising back above 2,000 feet. At this point it’s expected a new system approaching for Wednesday and Thursday should just bring cold rain showers to the lower elevation. Short of a potential event overnight, Cullen says there’s low confidence of any further snow events in the near future, but that doesn’t mean we’re completely in the clear. “We are going to stay cool, and we are going to have another round of moisture later in the week,” says Cullen. So stay tuned. No matter what happens with this system overnight, if you’re bound and determined to find snow, you won’t have to go far. 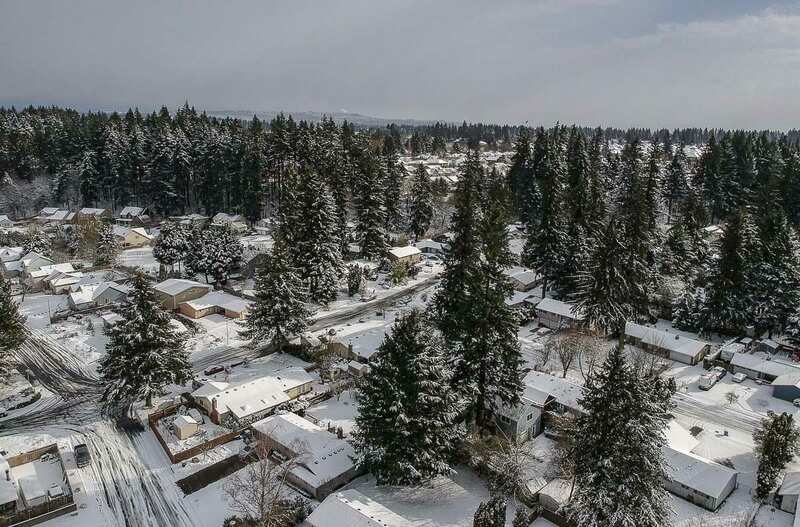 Cullen says the Cascades could get several feet of new snow through the rest of this week, and the foothills could get over a foot. That’s good news for the mountain snowpack, which has been running well below normal up to this point in the season. NOTE: You can see an updated list of school closures and delays by clicking here.